Panama city is a modern skyscraper city with its prosperous business district and a city center full of live and cultural delights. The recent completion of the “cinta costera”, a project to beautify the Bay of Panama City and to provide its citizens will recreation areas has added to the attractiveness of this city for tourists. Machu Picchu, located in Peru, is a 15th-century Inca site located 2,430 meters (7,970 ft.) above sea level. It is situated on a mountain ridge above the Sacred Valley which is 80 kilometers (50 mi) northwest of Cusco and through which the Urubamba River flows. 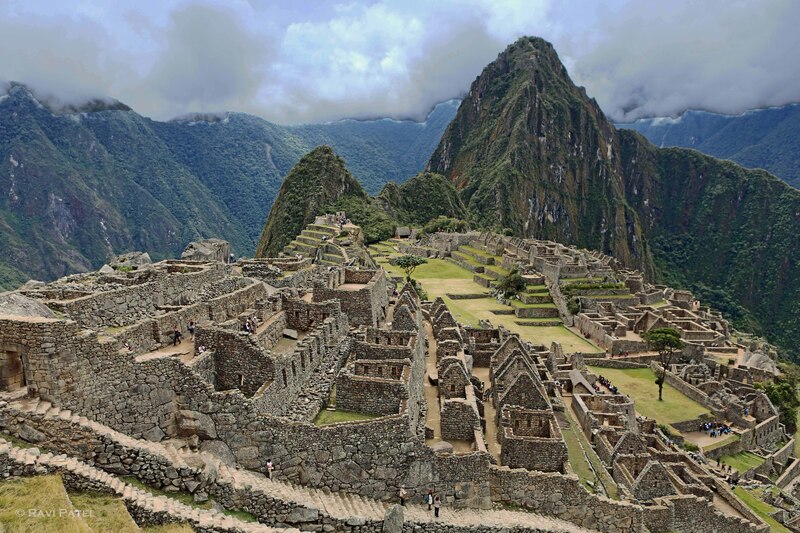 Often referred to as the “Lost City of the Incas”, it is perhaps the most familiar icon of Inca civilization.